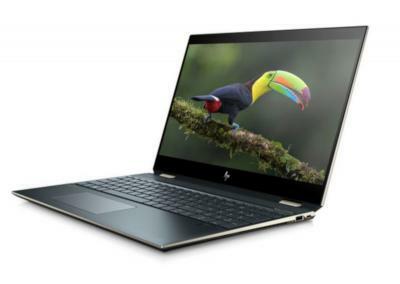 The HP OLED laptops use SDC's new 15.6" 4K AMOLED display, which the company started producing in February 2019. Samsung says that the new AMOLED panels, in addition to the very high resolution, feature high contrast ratio, extreme color accuracy, full HDR compatibility, a very wide color gamut, and remarkable outdoor visibility. Samsung also says that the displays support the entire DCI-P3 color gamut - while emitting "significantly less blue wavelengths" compared to LCDs. Blue light emission can potentially be harmful to the eye.